Today the Dutch government announced a financial support for the smart industry in the Netherlands. One of the projects that will receive support is the metropolitan area Rotterdam-Den Haag, the area in which GTM is located. Being a company in the forefront of new materials and smart manufacturing of aerospace parts this news was very well received by GTM. 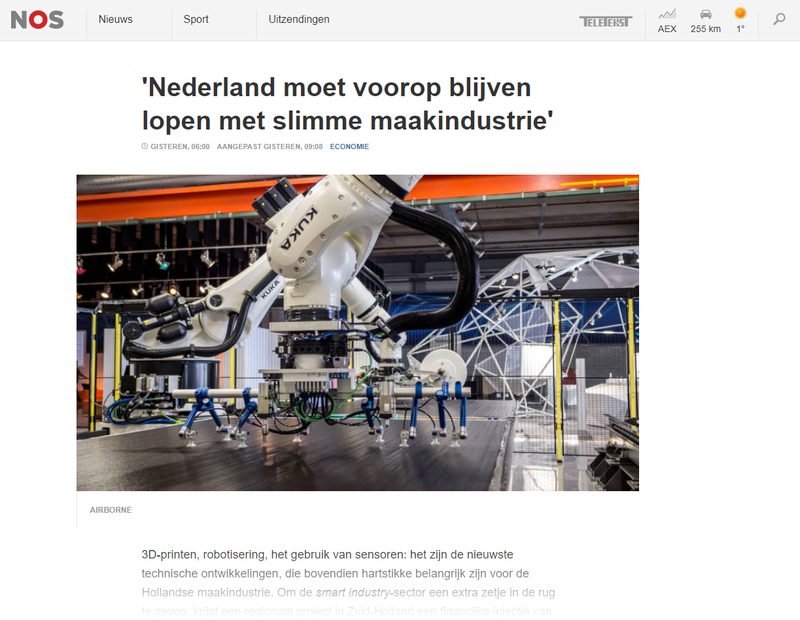 It shows the willingness of both local and central government to support these kind of initiatives and it is a good start to improve the competitive position and innovative strength of the Dutch development and manufacturing industry.